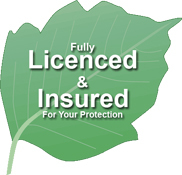 Residential and commercial land clearing services. View clearing, lot and land clearing and pre-construction site clearing. We handle all jobs regardless of size – Residential or Commercial. If your site needs to be cleared of trees, brush, logs, rocks and/or general debris, we have the necessary equipment and staff to handle any sized project. Feel free to give us a call us even if there are existing structures on the property needing to go. Don't worry about unsightly burn piles, let us handle the job and remove all the waste material from your site. Our cleanup is thorough, and we completely remove all wood and brush. Bert's Tree Service is capable of clearing large properties quickly. We will meet with the our client to determine the desired outcome and create and implement a plan to achieve those results. Are you needing some help with property clearing, removing any trees, shrubs and brush to expand or construct a new home or cottage? Maybe you have a property that was cleared before and now overgrown a bit. 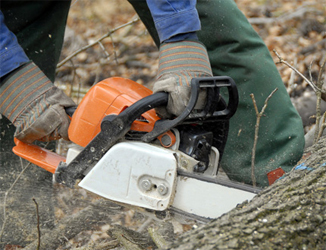 Tree removal services and land clearing are similar, however for efficient land clearing you'll need to have the appropriate equipment to get the job done safely. Whatever the needs, Berts Tree Service are trained, equipped and prepared to help you with your land clearing or tree removal projects. Call us today for a free estimate. We will send out an experienced tree service expert to inspect your property with you, and help with deciding what should be removed according to your needs. We also cut roads and trails through hunting camp properties. Bert's Tree Service provides many other Tree Services at an affordable rate. Call 613-376-6015 for a fee estimate! Get a free estimate for your land clearing needs. "Thanks to you and your crew for doing such an exceptional job. I'm so impressed with how professional everyone acted and the skill with which they removed our trees "